with tools and content you can trust. Move beyond basic searching, bookmarking and highlighting. See biblical locations on a modern map sync'd to your Bible reading. See helpful translations, definitions, charts and more. Cross reference against commentaries, Treasury of Scripture Knowledge, and more. Pair Bibles, commentaries, notes, and maps side-by-side and we'll keep them sync'd for you. Learn how to pronounce thousands of Greek words and understand original manuscripts better. Click any Bible verse and dive deeper without having to take a seminary course. "I love the Strongs Commentaries when hovering over words in the KJV w/ Strongs Numbers." "I love the look and feel of this app..."
Build your library as you go with the most trusted content. Start off with up to $3000 in content for one low monthly subscription. Access the most popular Bibles today and the time tested classics. Reference original language resources such as BDB, Thayers, Strongs and more. Use one of the many great commentaries that come standard in our packages to gain a new perspective on your study. Do a topical study using a biblically based Encyclopedia or Dictionary. We have hundred of contemporary reference works that add to the value and usability of your personal library. 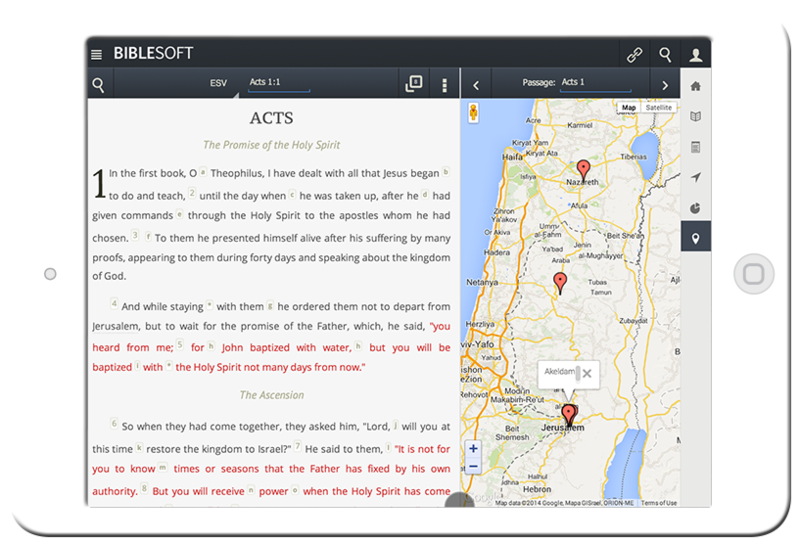 The Biblesoft App interface is flexible enough to handle any environment. That means you don’t have to learn how to use it for each device. Learn how to do what you want once, and you're ready regardless of which device you're using. We believe that ministry comes first, and business comes second. We have priced the Biblesoft App in such a way that it would take 6-10 years for you to pay the same price you would purchasing traditional desktop study software. The subscription and cloud service allows us to provide you with upgrades for free and release them as fast as possible without complicated updates. © 2019 The Biblesoft App.